We have steadily increased unit size and integrated advanced field-proven design features into our CFB technology. Our CFBs first reached small-scale utility application in 1987 on the 110 MWe Tri-State Nucla power project in the US, then went on to the medium utility scale in 2001 with the 2 x 300 MWe units for the Jacksonville Energy Authority. Over the 1998-2004 period we delivered six CFB units totaling nearly 1500 MWe for the largest CFB repowering project ever in history—the Turów project in Poland. Our success has come from a track record of satisfying clients' reliability, environmental, and efficiency goals with innovative technology for converting economical solid fuels into valuable steam and power. Through our experience of supplying over 626 fluidized bed units to industrial and utility customers worldwide, we have steadily scaled-up and improved our technology. Over 476 of these fluidized bed steam generators have been CFB designs. Our latest technology breakthrough can be seen in Korean Southern Power Company’s (KOSPO) selection of our most advanced supercritical CFBs to power its Green Power Project in Samcheok, Korea. Phase I of this impressive greenfield power facility features four 550 MWe ultra supercritical CFBs at its center surrounded with renewable energy technologies like wind, solar and hydro power. 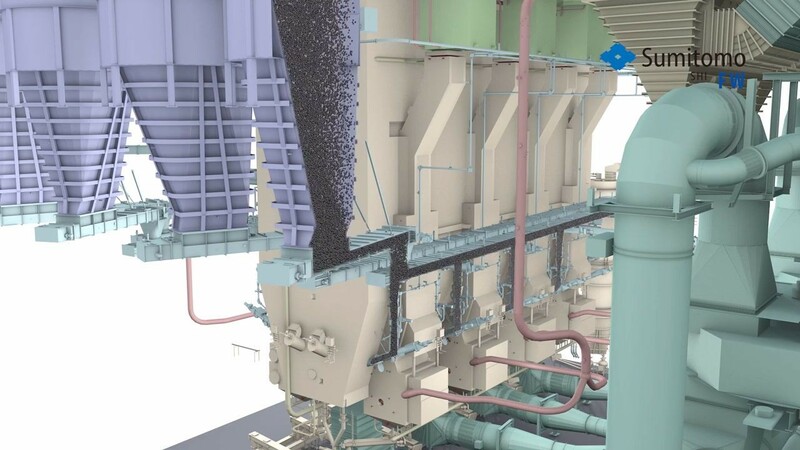 To address climate change, we have developed Flexi-Burn™ technology, which allows our CFBs to operate in either conventional firing or carbon capture mode without significant plant modification, giving our clients the flexibility they need to endure an uncertain regulatory and carbon credit market.